The suburb of West End sits on a bend of the Brisbane River. Like many inner suburbs it is undergoing substantial change, attracting young professionals and “empty-nesters”. 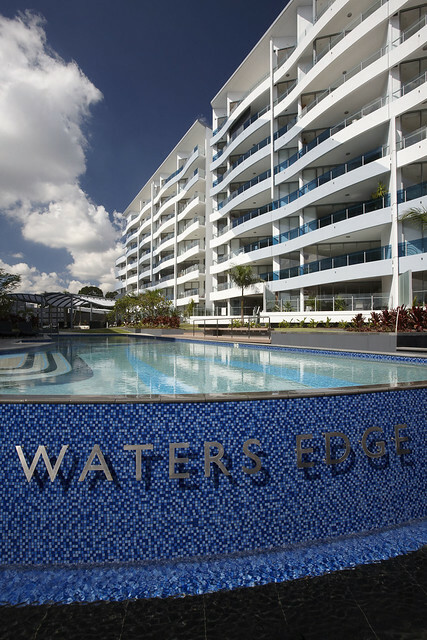 Reach and Drift are the first stages of Waters Edge, a $500 million, three hectare development facing Riverside Drive. Together these 11-level towers (including two basement levels) offer 234 high-quality apartments. In each stage, the basement perimeter walls were constructed using double-height precast concrete panels. Increased reinforcement allowed the use of shorter props to just below the soffit of the upper basement slab and removed the need for costly slab penetrations. Efficiencies were also introduced by redesigning the curved precast balustrade elements to increase their length and minimise the number of radii, thereby reduce manufacturing, transport, lifting and installation costs. In all, Austral Precast manufactured and installed 377 panels for the two stages. 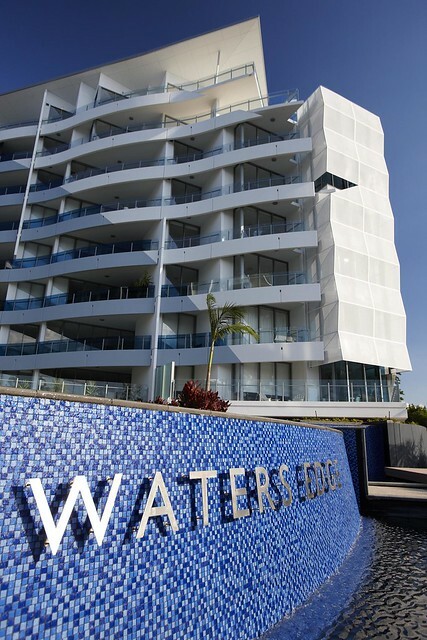 Pradella Developments Waters Edge project has won a string of HIA and MBA awards.